Jamal Khashoggi’s disappearance and alleged brutal death was not an accident … rather the inevitable result of both our inability and unwillingness to face up to the nature of a regime defined in bloodshed, for the sake of lucrative contracts and one grandiose pipedream: control of the Greater Middle Eastern region. 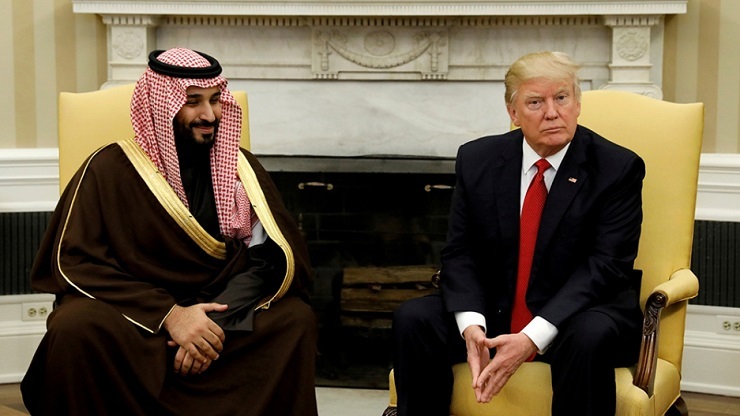 Back in 2017 U.S. President Donald Trump quite literally offered Saudi Arabia a carte blanche, under the provision of course that Riyadh’s millions of dollars would continue to flow towards Washington – and maybe more to the point towards Trump’s circle. “We are not here to lecture—we are not here to tell other people how to live, what to do, who to be…” In hindsight America should have asked a few questions. A few questions might have helped prevent Yemen’s unfolding famine, brutal civilians deaths, and a grand display of inhumanity played out to the tune of arms contracts and broad impunity. But what if Khashoggi was but a foreword in a crisis that could unravel the region altogether, and lay bare old upsets? Evil it is said is not born but made. In this particular case I would say that evil was bred on our systematic refusal to hold criminality accountable. We ought to remember that Jamal Khashoggi is but one victim among many. How many men and women have had to be swallowed whole before the Crown Prince could feel so bold as to target a member of the elite? And still, still many would love nothing better but to rationalise Khashoggi’s disappearance and alleged murder away from the Crown so that business could resume, and for feathers to be unruffled. “I think we have to find out what happened first,” Trump told the Associated Press in an interview. “Here we go again with, you know, you’re guilty until proven innocent. I don’t like that. We just went through that with Justice Kavanaugh and he was innocent all the way as far as I’m concerned,” he added. Why ask questions when answers will offend? 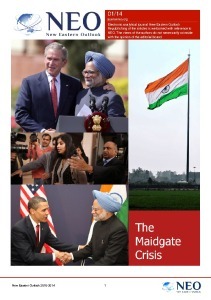 Those days anger and outrage are not only relative, but pending geopolitical interests. Washington’s argument so far, running contrary to European capitals, has been that Saudi Arabia is too great of an ally to abandon over the murder of one man; regardless of this man’s stature, more to the point regardless of what such crime conveys as to the nature of the regime that commanded it. As of October 18, France, Germany, the UK and the Netherlands have suspended all official visits to Saudi Arabia. “In the current circumstances we have decided to suspended some visits, political ones,” French President Emmanuel Macron told reporters in Brussels. Mr Trump’s rationale runs on the assumption that Saudi Arabia can deliver on financial and political stability in that Riyadh will furnish America’s economy while playing fetch to Jared Kushner’s vision for the Middle East. Only the Crown Prince has become the very definition of unstable. So much so in fact that his political tantrums and reckless decisions could explode the region into smithereens. But of course Saudi Arabia’s lobby money so far has kept many ‘unsavoury details from surfacing. According to the Centre for International Policy, the Saudis spent $27m on Washington lobbying firms in 2017, of which an estimated $400,000 went to funding political campaigns so that Riyadh’s crimes would be skimmed over by Congress. As I wrote earlier, what if Jamal Khashoggi’s murder was but a prelude to a greater crisis yet? Readers will recall how only two weeks after President Trump visited Saudi Arabia in May 2017, the Kingdom declared war on Qatar … maybe not insofar as ordering a ground invasion or like in Yemen, a punishing air campaign but it nevertheless trampled over international law by closing all border crossings and cutting off air and sea travel. A contender to Saudi Arabia’s hegemony in the region, Qatar had to be contained, isolated, demonised and altogether cut down to size … to the great amusement of the Trump’s administration. “So good to see the Saudi Arabia visit with the King and 50 countries already paying off,” Mr Trump wrote on Twitter. A year later and it is Kuwait that finds itself in the firing line. In late September, only days before Mr Khashoggi was to disappear into the Saudi Consulate in Istanbul (Turkey) MBS paid a visit to the Emir of Kuwait which ended with a threat levelled at Kuwait’s territorial integrity. Hungry for yet more access to the region’s large oil and gas reserves, the Crown Prince flew to Kuwait with the intent of forcing himself onto Kuwait’s right of access. As per the terms of an agreement signed in between the two countries in 1922, both Saudi Arabia and Kuwait share equal rights in the exploitations of oil fields in Khafji and Wafra. “It did not go well because Kuwaiti sovereignty is non-negotiable,” one source close to the matter was quoted by Reuters as saying. Angered by the Emir’s resistance MBS would have then warned of pending dire repercussions against Kuwait. With Qatar, Kuwait is the second country within the Gulf Cooperation Council (GCC) Saudi Arabia is at odds with. Saudi Arabia’s list of foes has grown exponentially since 2015. First there was Yemen and the making of one biblical humanitarian crisis, then came allegations that Riyadh may have played a hand in Turkey’s failed coup d’etat, then MBS orchestrated a particular show of force against all designated ‘enemies of the state’ aka rights activists and religious minorities within the Kingdom’s borders. Riyadh was not done just yet. Following the kidnapping of Lebanese Prime Minister Saad Hariri and the detention and shakedown of over 30 Royals (October 2017) the Kingdom deemed itself so untouchable that it took to threatening Canada with a terror attack should it insists on levelling any form of criticism against the regime. 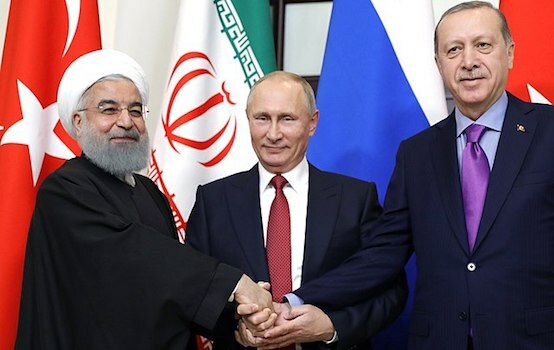 Washington’s ally very much looks like a terrible child, less so a strategic partner.